Last week, WCSC-TV reported that after Benjamin and Hope Jordan relocated to Charleston, S.C., they needed to find a baby sitter for their 7-month-old son, Finn, but what they found was a wolf in sheep’s clothing. Five months into her baby-sitting, however, the Jordans noticed that their trusted and loyal dog, Killian, had become overly protective of Finn when the baby sitter came around. Killian, a black Lab and German shepherd mix, is normally docile and friendly. Thank God for not only canine instincts but also maternal discernment. As an act of precaution, Hope wanted to record what occurred while Kahn was baby-sitting. So the Jordans planted their iPhone under the couch to record any interactions between the baby sitter and their infant son. To their horror, it captured the sounds of an abusive baby sitter and a beloved baby shrieking in pain. After reviewing the audio recordings, police arrested Khan. She confessed to the crime, pleaded guilty to assault and battery, and was sentenced to one to three years in prison. She also has been placed on a child abuse registry under the South Carolina Department of Social Services, which will prevent her from working with children in the future. “That is fantastic news for us to know that maybe Finn’s ordeal has possibly saved another child’s life,” Benjamin responded. It was with a great sigh of relief that the Jordans told WCSC that Finn is doing well and shows no signs of negative effects from the abuse he suffered at the hands of his baby sitter. Benjamin is correct. Finn’s story ends well, but not all victims’ do. That is why I’m calling on parents everywhere to doubly ensure their children’s safety. And there’s no better time than now, especially with summer ending and so many returning to routines that require baby sitters. According to the Administration for Children and Families, every day, a staggering five children suffer an abuse-related death — an increase from roughly three a day in 1998. Childhelp, a leading national nonprofit organization dedicated to helping victims of child abuse and neglect, further explains on its website that in the U.S. alone, more than 3 million reports of child abuse are made annually, involving more than 6 million children. –Approximately 80 percent of children who die from abuse are younger than 4. –Roughly 50-60 percent of child fatalities caused by maltreatment are not recorded as such on death certificates. –Children who experience abuse and neglect are about nine times likelier to become involved in criminal activity. –About 80 percent of 21-year-olds who were abused as children meet the criteria for at least one psychological disorder. –About 30 percent of abused and neglected children will later abuse their own children. The above statistics stress just how important it is that parents and guardians take precautions to protect their children no matter who watches them. Non-family and non-friend sitters carry their own particular risks, so proceed with extreme prudence. Beneficial, but not foolproof, are the websites Care.com, Sittercity, Babysitters4hire.com, eNannySource and SeekingSitters — where background checks, identification checks and profile reviews are generally included. : But the truth is that nothing replaces parental attention, love and protection. If it’s at all possible to cut down on expenses and have one parent at home (maybe even working from there), there’s no doubt that you are the best child care option for your child. Foremost, don’t check in your brain at the door of child care. And don’t be afraid to ask all the hard questions, do extensive background investigations and make surprise pop-ins on those who care for your most precious and priceless offspring. They’re your kids, and it’s your house, so monitor their welfare when you’re gone, even with electronic-eye devices. Once upon a time, they were cumbersome and costly, but now they’re small and relatively inexpensive. Some even can fit on a dog’s collar! And if you don’t have the money for high-tech surveillance, use your smartphone as the Jordans did. If you’re suspicious — or even if you’re not — record a day’s audio or visual events in your house. A little domestic espionage might educate you and even save someone’s life. If you suspect a child abuse situation or just want more information, call the National Child Abuse Hotline at 1-800-4-A-CHILD (1-800-422-4453). Crisis counselors are also available 24/7 online at: http://www.childhelp.org/hotline. 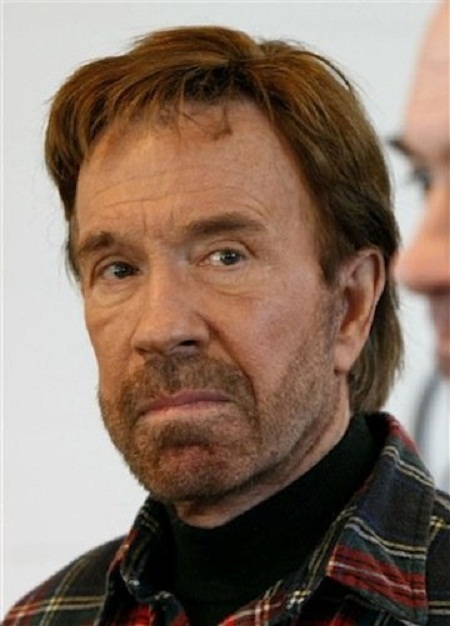 Follow Chuck Norris through his official social media sites, on Twitter @chucknorris and Facebook’s “Official Chuck Norris Page.” He blogs at: http://chucknorrisnews.blogspot.com. What if Assad Wants the US to Bomb Syria?